Wait Your Order is Not Complete Yet! 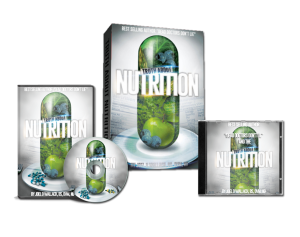 Grab Dr. Wallachs' Truth About Nutrition Bundle for 70% off. As most of the world gets sicker and sicker, there is a select and growing group within the population who are healthier, looking younger, and living longer with fewer aches and pains. This group is following the advice and research of a unique doctor who is trained not only in human health, but in animal health as well. Dr. Joel Wallach is on a mission to help people live 100 years and beyond, and he's now prepared to reveal his secrets of longevity in The Truth About Nutrition. Because your ordered from us today we want to give this to you for 70% OFF! YES! I want to learn the Secrets of Longevity! ​Our products come with a complete 100% No bull money back guarantee. It states that if you don't like the product for any reason you can return the bottle within 30 days of your purchase date for a full refund of the item price. That's how confident we are in the effectiveness of everything on our site. ​Your privacy is important to us. We will never trade, lease or sell your name or e-mail address information. Credit card charges will appear on your statement as "y90-store". Your order is shipped discreetly in a plain package with a shipping label from our fulfillment center in Provo, Utah. ​Orders are shipped within 48 business hours of receiving your order. It is sent by Priority Mail and normally takes 5-8 business days to arrive in the United States. Express Shipping normally 2-4 days. A tracking number will be emailed to you once your order has been shipped.